High School and college are such fun days! Cool and trendy dresses, experiments with makeup, funky hairstyles are every young girl’s obsession through these years. Today’s post is dedicated to all our teenage friends who love makeup and want to experiment with looks. 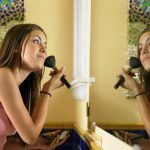 However, before discussing the makeup or teens which you may try out, it is very important to know that a clear and glowing face is the first step to teen makeup. And following the CTM (cleansing, toning and moisturizing) routine religiously is the secret to the much desired radiant skin. So, let’s first discuss about a simple tutorial on how to apply makeup for teenage girls and then move to teenage makeup tips. As your skin is very sensitive at this age and will react to any harsh cosmetics, therefore it is better if you keep your makeup to the minimum. First, make sure to clean your face of any oil or dirt with a face wash. Dab a little bit of toner to your skin and finish off with a moisturizer. Use a moisturizer with SPF as it will also act as a sunscreen. Foundation is not needed for a teenage skin (it evens out skin tone). So if you have to use one, take a very small amount and blend it thoroughly all over your face. If you want to cover up any problem areas of your skin like blemishes, under eye circles or pimples, you may use a concealer. Choose the best concealer, which matches your skin tone; otherwise, it will look out of place. Take a very small amount and blend it out with your finger. P.S. : Your fingertip is the best blender, you don’t need a brush. Using powder or not is completely your choice. Those, with oily skin may use a bit of loose powder. Blusher will make you look too made up. So you may skip out blusher or use one in peach or light pink (for fair skin) or brown (for dark skin) to give you that natural blush and happy look on your face. Use a thick, fluffy brush to apply blusher. Do not to use one during daytime; it is fine to use blusher for an evening party. You may also use shimmery blush for evenings. The choice is yours. Do you need to do anything for those pretty eyes of yours? Nothing much, except for a single coat of mascara and a thin eyeliner, keeping it close to your lash line. This will give you a natural look. Finally your lips. Lipsticks are a big no-no at this age. Use a pretty pink or neutral shaded lipgloss. Your lips will really shine, enhancing your beauty. 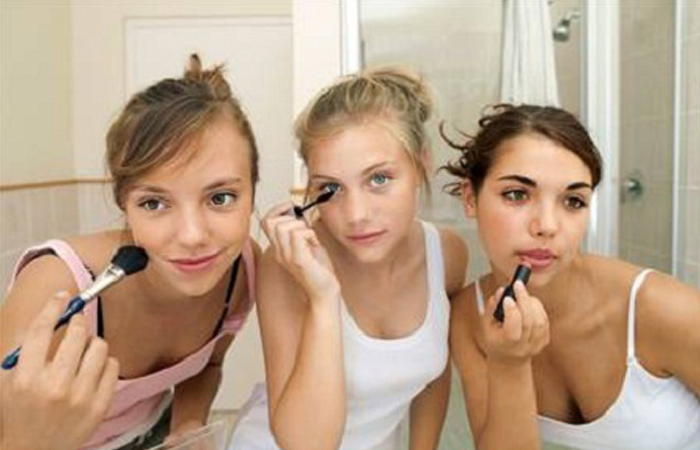 Here are some of our best makeup tips for teenagers! If you’re a young teen, all you really need is mascara and lipgloss. You can add in the eyeliner when you like- brown or even purple is great for every day, while black is great for nights or weekends when you want that extra drama. No foundation. Just a bit of concealer on your blemishes. Use your finger to apply, but make sure to wash your hands before touching your face. If you feel your skin is oily, use just a little bit of pressed powder with a sponge to apply and pat it just where you need it (usually on the forehead and around the nose and chin). 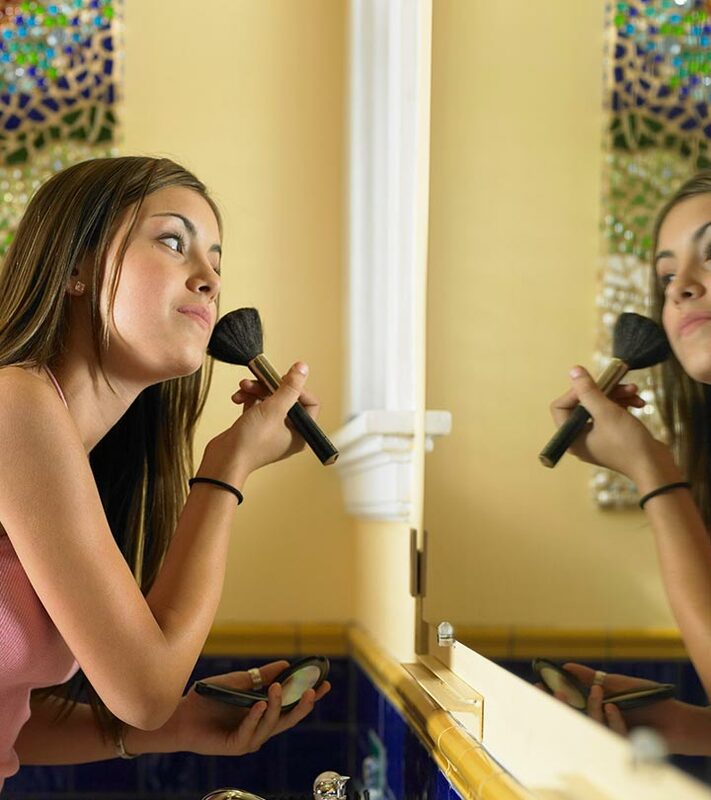 Keep your makeup as minimum as possible, because your skin is more prone to acne breakouts. Try to keep it as much natural as possible. Always spend a little more money to use branded cosmetics instead of buying them from any local store. Teenage years are tender years, so it’s important not to overdo it, since the skin is more prone to acne and breakouts. The makeup must be soft and simple which will enhance their natural features and not hide them.